30th Street Blog: Jaynes Week in Preview: Voted SD's Most Romantic, St Germain, Curb Appeal and the Debut of Jon's new band "The Fairmounts"
Jaynes Week in Preview: Voted SD's Most Romantic, St Germain, Curb Appeal and the Debut of Jon's new band "The Fairmounts"
Yes it is official, Jaynes has been voted in San Diego Magazine as San Diego's Most Romantic Restaurant. We really appreciate the nod. Never one to rest on our laurels, last week we started a gang of building facade improvements including flowers, paint, lighting and this incredible handpainted sign in the alley by our good friend and local artist/wallscaper Andy Crane. Here's Andy getting started. 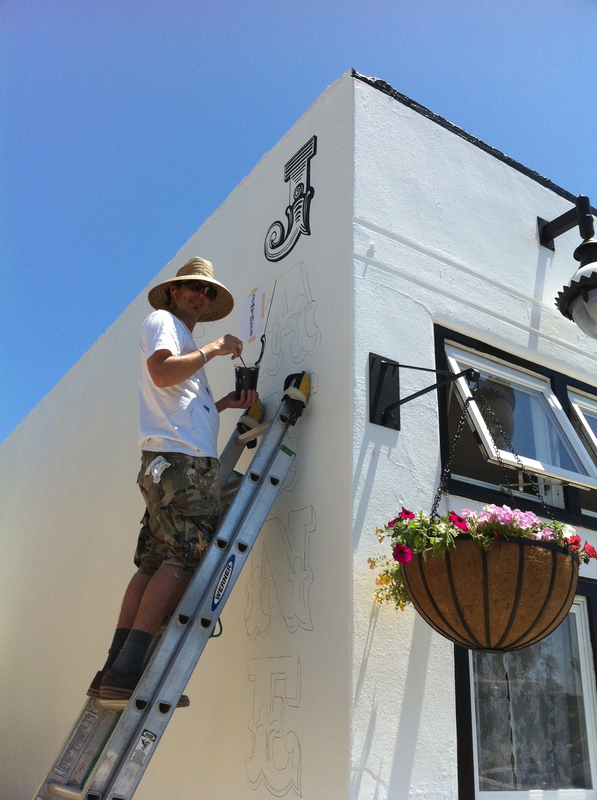 Come by and check out the final product! 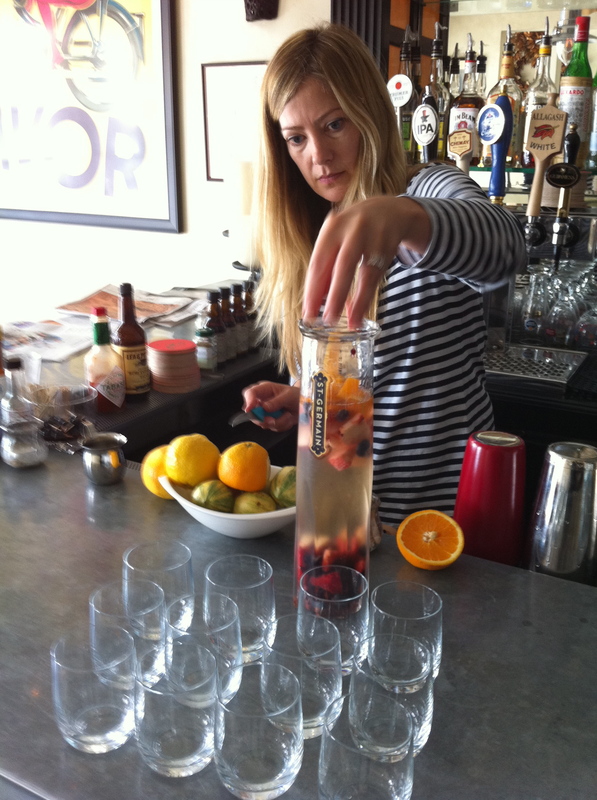 Sunday brunch is absolutely delicious and we've been featuring carafes of St. Germain White Sangria, a blend of St Germain Elderflower Liqeur, Sauvignon Blanc and Fresh Fruit. St. Germain is made from fresh, hand picked elderflower blossoms, a honeysuckle plant relative and is one of those great, mysterious European potions that adds harmony and complexity to everything it touches. We will now be serving this wonderful bevvy at dinner service as well. Feel free to ask your bartender or server for other St. Germain based concoctions. 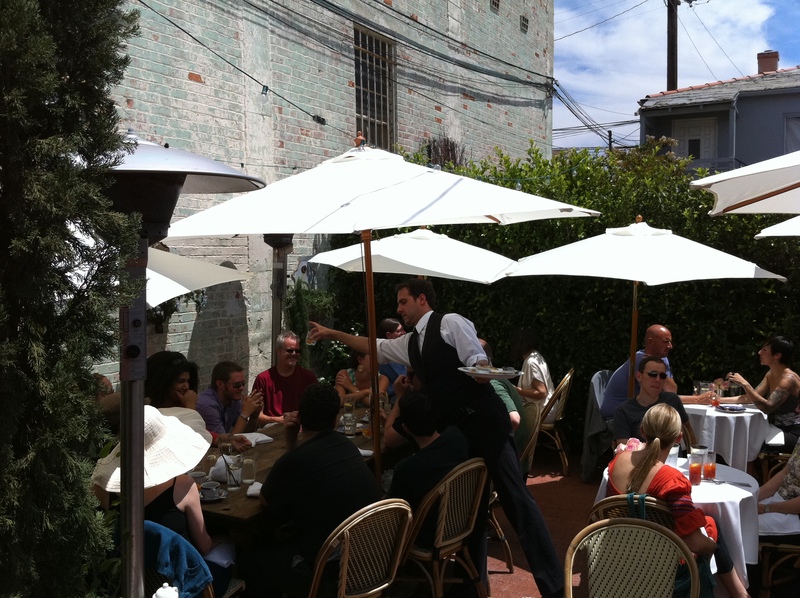 Our weekly plat du jour menu specials continue. Tuesday is Burger and Any Draft for $15! Wednesday is Southern Night: featuring Buttermilk Fried Chicken, Mash, Collard Greens and Corn Bread. Thursday is Mussel Night now featuring Loire Valley Sur Lie Muscadet by the glass. Daniel came up with a serious hit recently of Pan Seared Alaskan Halibut over a summer salad of sweet white corn, heirloom cherry tomatoes, grilled asparagus, crispy wonton strip finished with a yellow tomato coulis. We'll be serving this refreshing summer dish Tuesday-Thursday this week. 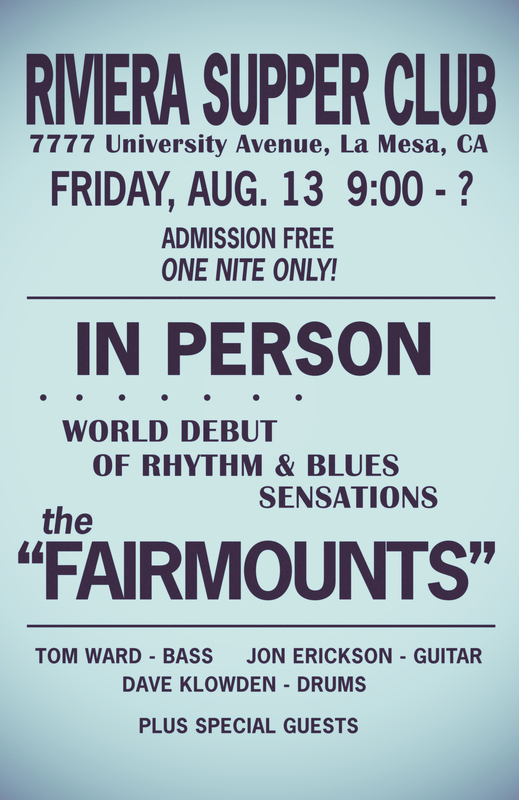 For those fans of our music selections you might want to come to Jaynes on Friday night the 13th, then bop on over to the Riviera Supper Club in La Mesa to see the debut of Jon's new rhythm and blues band, "The Fairmounts". Music is Jon's first love (OK maybe second behind you know who ; ) and this new outfit really has their act together. Band starts at 9:30 and plays until about 11:30. Admission is free, cocktails are solid and the music will be hot. This will be a very fun show. We'd love to have your support. We hope to see you all this week!